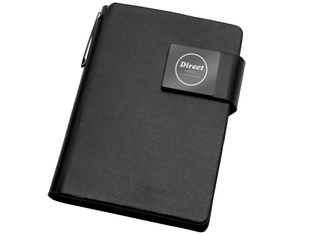 This pocket jotter with magnetic closure features 3 cards slots, an internal pocket, note pad and pen. The metal plate on the closure is the ideal location for a logo and adds to the upmarket look and feel of this product. Jotter size is 11.5cm x 8cm wide.